First off, if anyone reading this is a fan of the Princess Diaries series this is your first and last warning. DO NOT read this review if you haven't read the last book yet (this means you Holland). Synopsis: "It's Mia's senior year, and things seem great. She aced her senior project, got accepted to her dream college(s), and has her birthday gala coming up . . . not to mention prom, graduation, and Genovia's first-ever elections. What's not to love about her life? Well . . .
• Her senior project? It's a romance novel she secretly wrote, and no one wants to publish it.• Prince Phillipe's campaign in the Genovian elections isn't going well, thanks to her totally loathsome cousin René, who decided to run against him. • Her boyfriend, J.P., is so sweet and seemingly perfect. But is he the one? • And her first love, Michael, is back from Japan . . . and back in her life. With Genovia's and her own future hanging in the balance, Mia's got some decisions to make: Which college? Which guy? How can she choose? Especially when what she decides might determine not just the next four years, but . . . forever!" Since this is my second or third attemp at writing this review, I am going to keep it short. In the begining we see that Mia is now dating J.P. (I really hate dislike him! ), Lily's still not talking to her, she's friends with her former enemy Lana (and her crony), her father's losing in the polls, and if that weren't weird enough, her former boyfriend (Michael) is back from Japan. In the final book you’ll notice that Mia’s character sounds a little less neurotic than she did in the past nine books. Could it be because she has actually *gasp* matured. As long time readers of the series will surely notice, Mia has also become more self reliant and she has learned to stand up to Lily. While I am sad to say goodbye to Mia, I'm satisfied with the happily ever after end to a fantastic series. I loved Forever Princess so much that I am giving it 5 out 5 cameo pendants. Since I am a huge fan of music, I was thinking what better game to play than the I-pod Shuffle Game. Which was featured on Dahlia's Eclectic Mind, and she got it from Musings of a Fledgling Writer's blog. 1. Set your I-tunes, ipod, Windows Media Player to shuffle. 2. Answer each question with the next song that comes up. I am not sure how this applies to the question. I guess this means that one day I might be able to describe myself. Does this mean that I make things more difficult than they need to be? Ahh, everyone wants a piece of my time. "What do you often think about? For a second I forgot what the question was. What do you think about the person you like? I believe in aliens (joking). If I knew the answer to that, I still wouldn't tell you. This is the greatest song in the entire world! I just like this one a lot. Being trampled by robotic bunnies. I already told you goodbye, so why are you still here. What is your future going to be like? Wait, does this mean I don't get to sleep anymore????? What do you see in the person you like? I am not even going to try to answer this one. What will the song be for you and your spouse? I guess it doesn't work out. That was fun, yet extremely long. If you want to play copy the rules and questions. If you don't have a blog leave your answers in a comment or if you do have a blog just leave a link to you post in the comments. I know my answers were kind of weird, but that's what happens when I put my ipod on shuffle. I was almost done writing one of my reviews, until I realized I hated everything I wrote didn't like what I had written, so I think I am going to start all over again. So, until I finish re-writing it you're stuck watching videos, like, this one by Patsy Cline called "Crazy". So I'm, like, maybe half done writing two out of three of my book reviews. But, It is going to take me awhile, since I am in the middle of reading the fourth book in the Cotton Malone series (it's really, really good) and I'm also trying to work on a post for 13 and Co.
Let's just say I have a pretty cool idea (I think) for a post for 13 and Co. Except I am having the hardest time getting it from my brain, to draft form in some semi-coherent fashion. I command you to (please) take this quiz. I am really curious what everyone else's answers would be. Since I have, like, three book reviews to write up, I thought I would post this video for "Guitar Slinger" by Crossin Dixon. 4 out of 5 cameo pendents. 2 out of 5 cameo pendents. A review for Forever Princess will be up in the next few days. 5 out of 5 cameo pendents. 5 out of cameo pendents. Since there are entirely too many books in the Princess Diaries series, I am only going to rate the first nine books. 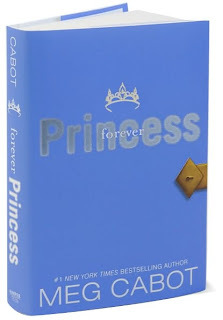 But as soon as I finish reading Forever Princess, I will write up a review for it. Rating 5 out of 5 cameo pendents. After only three days of reading, I am on to the sixth book in the Princess Diaries series. This means I only have about four and a half books left in the series, not counting the half books (since I only have one of them). Synopsis: "Sometimes you have to get lost . . . The Girl: Clio Ford, seventeen, wants to spend the summer smooching her art-store crush, not stuck on a boat in the Mediterranean. At least she'll get a killer tan. The Mission: Survive her father's crazy antics. Oh, and also find some missing underwater treasure that could unlock the secrets of civilization. The Crew: Dad's wacky best friend Martin, his bizarre research partner Julia, her voluptuous daughter Elsa . . . and then there's Aidan, Julia's incredibly attractive, incredibly arrogant assistant. What's going on behind Aidan's intellectual, intensely green eyes, anyway? As Clio sails into uncharted territory she unveils secrets that have the power to change history. But her most surprising discovery is that there's something deeper and more cryptic than the sea—her own heart.
. . . to find what you're looking for"
After reading the first three Inheritance books I was desperately in need of something light and fluffy, well I found that light read in Maureen Johnson's Girl at Sea. 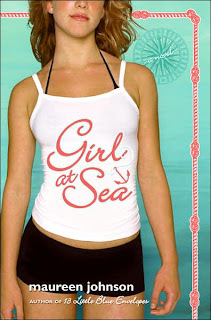 The only draw back to Girl at Sea is that it took half the book to get where I could not put it down. But once it did pick up, I was hooked. I totally felt Clio's pain when she got stung by all of those jellyfish (having been stung myself). Although, it was painfully obvious who liked whom (just in case you haven't read it yet, I will not tell you who ended up with who). I really wish that the cover had a picture of her tattoo (it sounded really cool looking). 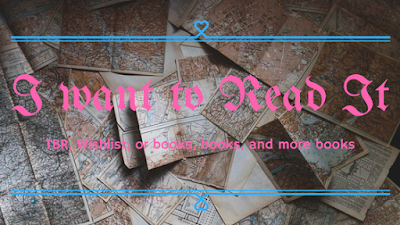 Girl at Sea Has earned it way on to my (very long) list of books that I would like to have in my personal collection. Girl at Sea receives 3 out of 5 cameo pendents. I finally finished The Iliad last night around 12:15 AM. I (almost) feel that I should celebrate, especially since I was starting to wonder if I would ever finish it. Just out of curiosity, have any of you been reading a book and no matter how many pages you read, you feel like that you have made absolutely no progress? It was actually an okay book. But, I don't plan on re-reading it again any time soon (maybe one day). Dahlia informed me that I forgot to mention the name of the series I am getting ready to start reading. Actually I should say series that I have already started. I am currently re-reading the entire Princess Diaries series and I have already finished the first one and am at present reading the second one Princess in the Spotlight. Since I can only take so much of The Iliad in one sitting, I haven't finished it yet. But, as soon as I do finish it I am going to reward myself by re-reading the first nine books in a book series, followed by the tenth and last book in said series. I guess I will stop procrastinating now, and go read since I only have (like) 32 pages left in the book. I don't know what possessed me to start reading "The Iliad" (boredom maybe). 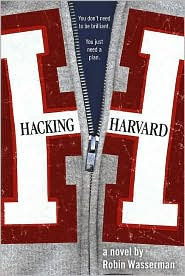 But I should be done with it by tomorrow or maybe the next day, it all depends on whether I can bring myself to finish reading it since I already know how it ends (and not because I have seen the movie Troy).